Surfers are better off heading to Patong for a drink than a wave, as the waves here tend to close out. If you’re desperate, try the northern cap of the beach, but you’re really better off heading elsewhere on the island - even if just to Kalim Bay, which is just north of Patong and has a shallow reef with a right hand break. On big days Kalim can be a good option as it’s a little sheltered from the swell. Heading south from Patong takes you to Relax Bay which can get a good left hander by the southern headland. Note you’ll need to bluff your way through the Meridien to get access to the beach. The best snorkelling on Patong is up towards Kalim Bay, but even then it’s no great shakes. 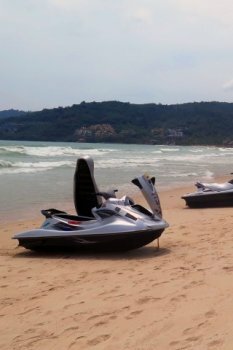 If you do go snokelling on Patong, watch out for all the joyriders and boat traffic - especially jet skis. For far better snorkelling, jump on a longtail and head south to Paradise, Tri Trang and Freedom Beaches - you’ll find some of the best snorkelling on Phuket on these three beaches. If you’re a keen jet skier, don’t forget to pack your Second Class Helmsman’s license in order to legally operate one but, as this is rarely checked, perhaps just ride as a passenger. Don’t forget your life jacket. 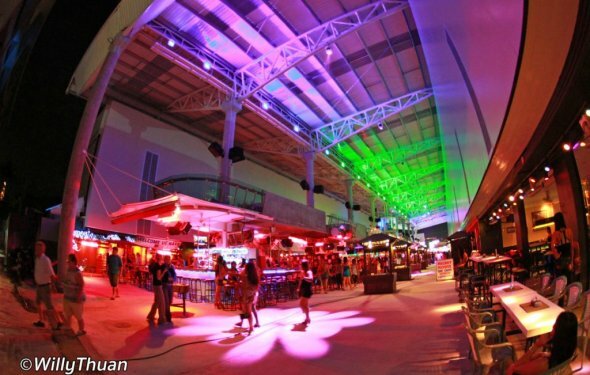 Off the beach, Phuket is famous for the Phuket Simon Cabaret - it’s been a Phuket icon for nearly 17 years and the glamorous gals hit the stage at 19:30 and 21:30 daily. Tickets are 500B and the show is absolutely worth it. Staying off the beach, Pum Thai Cooking School focuses on learning Thai recipes that you’ll be able to find the ingredients for once you’re back home. Classes range from one and a half to six hours and cost from 900 to 4, 500B. All students receive a recipe book and, for the longer classes, a certificate. While not in Patong proper, Jungle Bungy offers the chance to free-fall 50 metres over a lake half way between Patong and Phuket Town. Your first jump will cost 1, 600B and, if you want to go again, additional jumps are half as much.